Vivian is a popular singer and actress from Hong Kong. Throughout Vivian's career, she has earned a reputation for being a kind and humble superstar. Her personality and attitude towards fans and colleagues have remained unchanged through the rising of her fame. She also has a love for animals, owning several dogs and cats. After high school, Vivian had a burning desire to work towards her dream of becoming a singer. 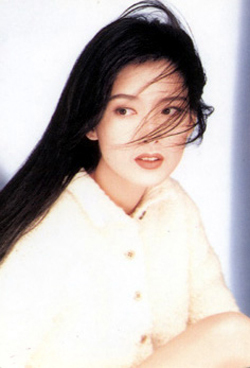 She entered the Fourth Annual New Talent Singing Awards in 1985, with her song Zui Ai sung in Japanese. Although Vivian did not receive any prizes in that contest, Vivian then decided to accomplish her goal one step at a time; the first step was becoming a DJ for Radio Television Hong Kong in 1987. As a DJ for RTHK, the people of Hong Kong finally could hear Vivian's young, sweet, and energetic voice through her participation in many radio dramas (in "Love in the Summer", "The Teenage Period", and "Life in Paris). In the late 1980's, the radio was still one of the primary sources of entertainment. The following year, Vivian took another major step towards her childhood dream; she took part as one of the main characters in the smash-hit comedy "Heart to Hearts". The actress in Vivian was awake as she first went on the big screen. In the same year that Vivian won the 'Best New Performer' award, her dream finally came true. She released her first album, titled by her Chinese name. This album contained only 4 songs, its sales did not disappoint, and Vivian releasing two new albums in 1990; 5 new albums in 1991, and 6 new albums in 1992-1993. And just like that, a new superstar was born; Vivian Chow became a commonly seen figure in magazine covers.